They say a business is stronger having come through a recession, but for many companies in Ireland, they have seen more than one dark period on the economic front in this country. There is a lot to be learned in business and it takes years to fully understand how it all works. In the last recession, it was no surprise that many of the companies that were forced to close down were ones that had only started in the previous few years and had little experience in dealing with the hardship that ensued. The construction industry was hit harder than any other sector in the Irish economy and a lot of ‘belt tightening’ was needed for many to get through. 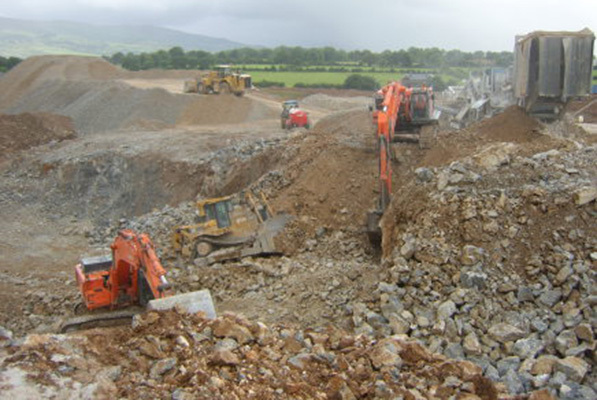 One such company that has seen numerous recessions in Ireland is Tony Kirwan Plant Hire & Civil Engineering, a family run business based in Kilmacthomas, Co Waterford. Established by Tony Kirwan in 1960, the company has grown into a well-respected, experienced and provider of an excellent service to a large customer base. From humble beginnings, Tony who still runs the business to this day, along with his nephew David who is Plant Manager, worked hard to develop the business into what it is today. “I started out with a bulldozer doing some land excavation work and the business grew from there. I would have been doing a lot of local work that time,” said Tony. There have been many changes to the construction industry over the years and Tony has seen them all. From the days of just having a bulldozer, the company can now call on a wide range of machinery to carry out their many projects. Having such an extensive fleet of machinery means that there is plenty of maintenance work to be done, or more to the preventive maintenance. Plant Hire, Bulk Earthworks, Site Clearance and Preparation Groundworks, Services Installation, Land Restoration and Remediation, Quarrying, Crushing and Screening Road, Roundabout Construction, Coastal Protection, Gabion Wall Construction, Heavy Haulage, Waste Disposal, Demolition, Asbestos Removal and Traffic Management. Through the company’s many years’ experience, they have been involved in many prestigious contracts working for some of the top building firms in the country as well as Government and council bodies. “Our aim is to deliver the highest quality of work to all our customers and I’d like to think that we have earned a reputation of delivering that in a timely and cost effective manner. “Quality is everything in this business and our customers know that they will get that every time that we are involved in one of their projects. 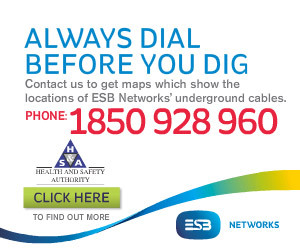 The company has been involved in many notable projects in recent times including the Airfield Point Housing Remediation Dunmore East; Vincent White Road Improvement Waterford City; Castlehyde Housing Remediation New Ross; West Pharma Soil Stabilisation Knockhouse Waterford; Sunlife Factory Extension Waterford and the National Children Detention Facility Lusk to just name a few. Tony Kirwan Plant Hire work for the likes of Waterford City & County Council, Wexford Town Council, Kilkenny County Council and South Tipperary County Council as well as the Office of Public Works, Port Of Waterford Company, Waterford Airport, ESB Networks, Malone O Reagan Consultancy, Department of Food, Agriculture & Marine, Roadstone Quarries, Lagan Quarries, Power Aggregates, Tom O Brien Construction, BAM Civil, BAM Building, Nevin Construction Deloitte & Touche and Mazars. However, their biggest contract at the moment is the redevelopment of Cork GAA’s main grounds Pairc Ui Chaoimh where they are doing all the groundwork. Tony employs 60 people direct, while they also use sub-contractors on occasion, using all their experience they get the right fit for each job. The company holds waste collection permits for Waterford, Tipperary, Wexford, Kilkenny and Carlow. Tony admits that he is happy with the workload that the company have on at the moment, while adding that they are always actively seeking new work. “We are busy enough at the moment. The Pairc Ui Chaoimh development is keeping us going, while we are also doing a car park in Waterford IT and we have machines on the Deise Greenway which runs from Waterford city to Dungarvan.